Rosen Plevneliev, a former entrepreneur, has won Bulgaria's presidential election, capturing 52.5 per cent of the vote against 47.5 per cent for his socialist opponent, former foreign minister Ivaylo Kalfin, in Sunday's run-off contest. 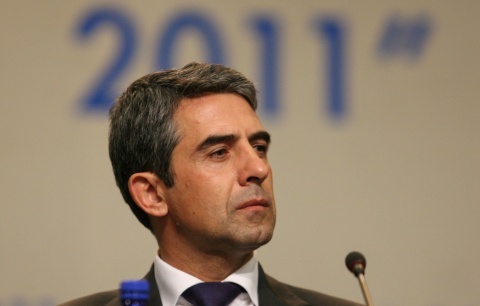 Mr Plevneliev stepped down as regional affairs minister to run as the candidate of the governing right-of-centre GERB (Citizens for the European development of Bulgaria) party. Analysts said his victory cemented the party's grip on power, with voters staying loyal despite continuing economic austerity in the European Union's poorest member-state. He replaces Georgi Parvanov, a former socialist party leader with close ties to Moscow, who was not eligible to run after serving two five-year terms. Mr Plevneliev pledged to accelerate reform of the judiciary, which is overseen by the non-executive president, and reduce Bulgaria's dependence on Russia for its energy supply. The presidential vote was held alongside local government elections. These were tainted by allegations of widespread vote-buying by GERB and the main opposition socialists in tightly contested mayoral races, analysts said.